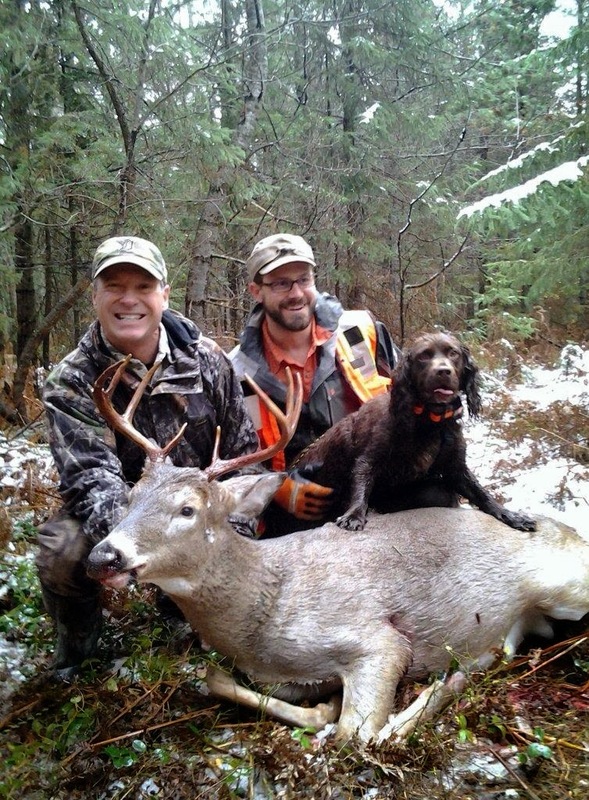 Nick was hunting with his bonus Dad Brent Jansson of Byron/Bancroft area. They were hunting in a pop up blind on the edge of a cornfield. Nick says to his dad there is a buck coming(nick says it in a calm cool collective voice) Brent says that's a shooter so Nick raises his 20 gauge Ultra Slugger and drops the hammer on this 140 inch 11 pointer. The impact looked good and the buck reaction appeared this buck is on death run. So they waited patently in the blind until nightfall. Brent could not locate any considerable amount of blood so he started to second guess the shot placement on this Hoss Buck. Nick says I know where I hit him. I hit I'm perfect. 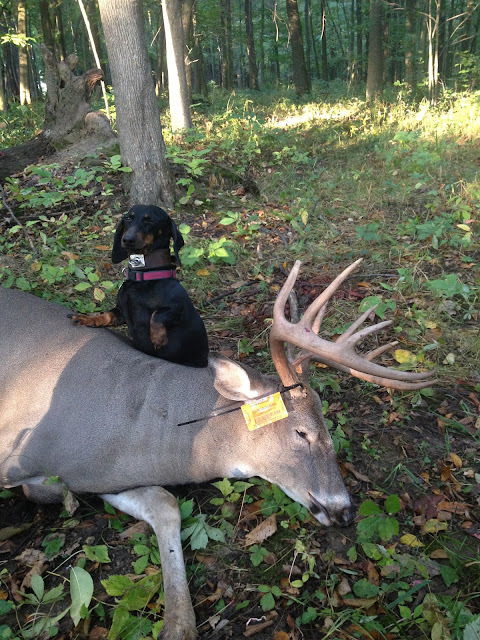 So Brent tracked the buck to the edge of the woods and was only finding a few drops of blood. So at this point he decided to call a friend for some advice. 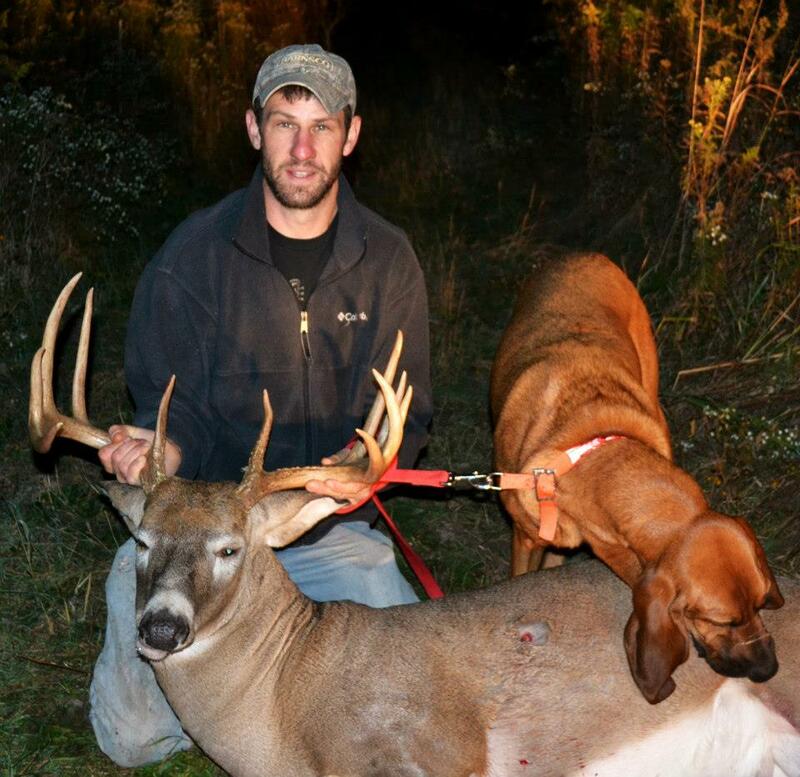 He called Jason Ladd a well know hunter and great tracker and Jason advice was to simply call in a tracking dog. 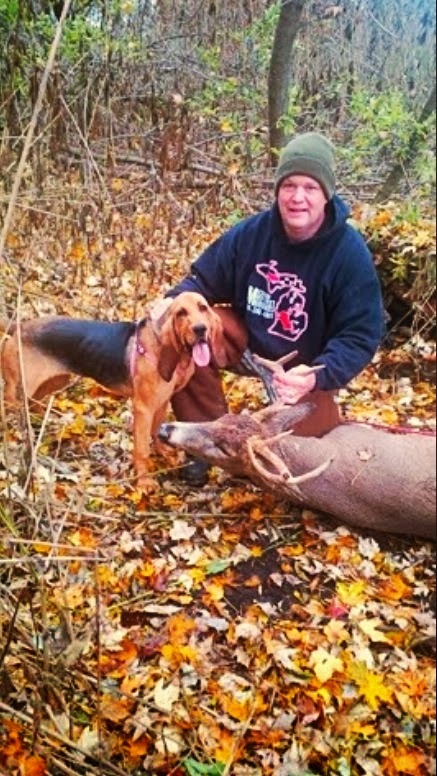 Jason witness the work of Rob tracking dogs last year when we found Don Henerys Buck. Jason tells Brent it maybe dead just inside the woods however it's not worth the risk of loosing it. I like to call it tracking insurance. 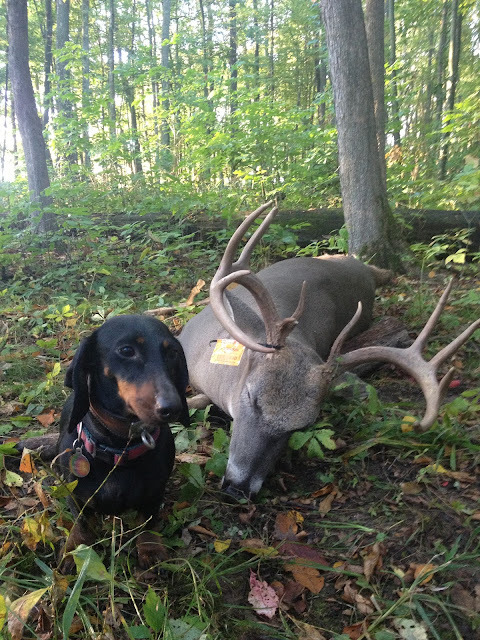 Sypris picked up the hoof scent of this giant 4-5 year old buck and took us straight to him. The buck did not travel that far maybe 200-350 yards however the blood trail did not look promising. Nick ended up hitting the 1 lung,liver,guts. The scent trail was about 13 hours old. Great job Nick and you have one amazing Bonus father.